Have you ever wondered how Hollywood gets its spooky lighting effects? Harvard multimedia producer KJ Wang turned out the gallery lights and gave a haunting look to the Feejee mermaid, currently on display in All the World Is Here . A link to KJ's video will be in next month's eNews. 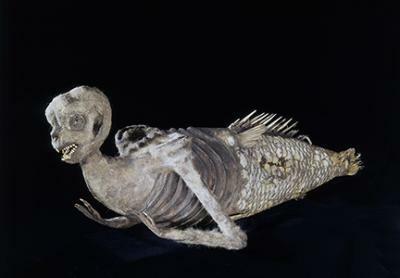 The Feejee Mermaid is just one of the spooky creatures on display at the four Harvard Museums of Science & Culture. Discover orb-weaving spiders, glass models of rotten apples, and more! 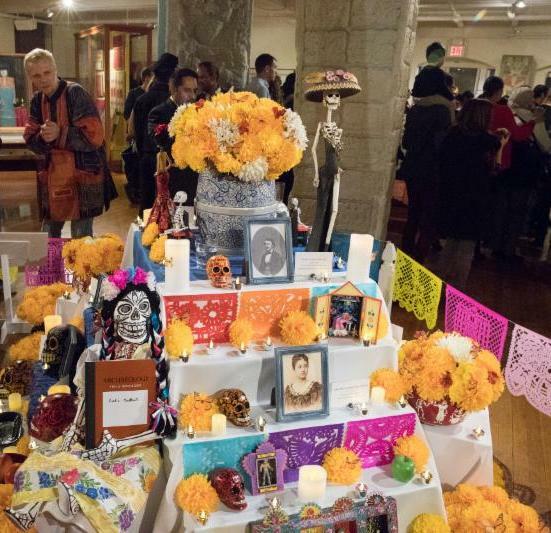 Watch the Peabody’s Facebook page on Monday, Oct. 30 around 2:00 PM for a live interview with Harvard professor Davíd Carrasco about Day of the Dead, hosted by the Harvard Divinity School. Live music, dancers, and beautiful decorations help to make this a joyful event designed to remember and welcome back the spirits of loved ones. 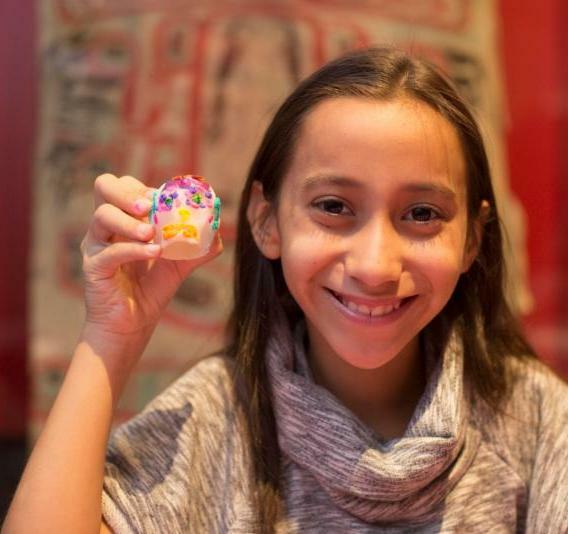 Decorate a sugar skull (additional $6 fee), make papel picado (cut paper banners), cempasúchil flowers, and other artwork, and write a message in any language you choose to place upon the Día de los Muertos altar. Sample the film Calling Home the Dead ( Llamar a los Muertos a Casa ), which invites viewers into the indigenous practices of villagers around Lake Pátzcuaro, Michoacan, Mexico. 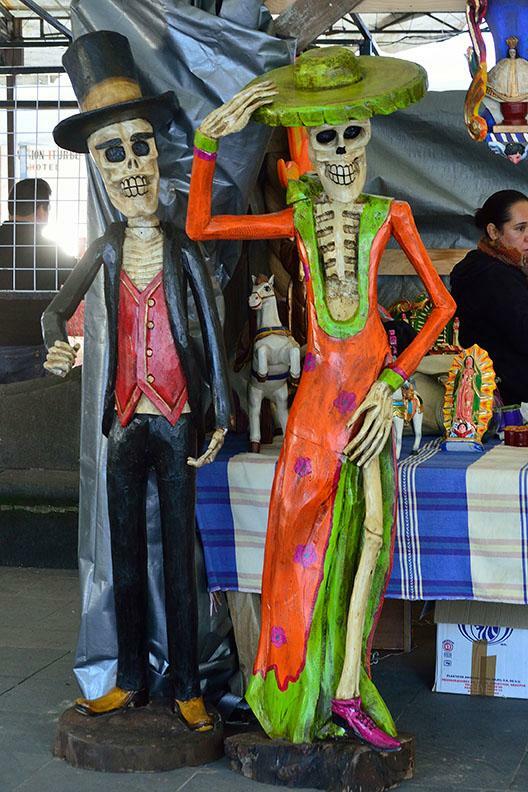 This photo of near life-size figures (Catrinas) on display for Dia de los Muertos was taken Plaza Grande, Pátzcuaro in the Mexican state of Michoacán last year. Photographer S. G. Andreozzi donated this and 45 other photos he took in the area to the Peabody Museum. 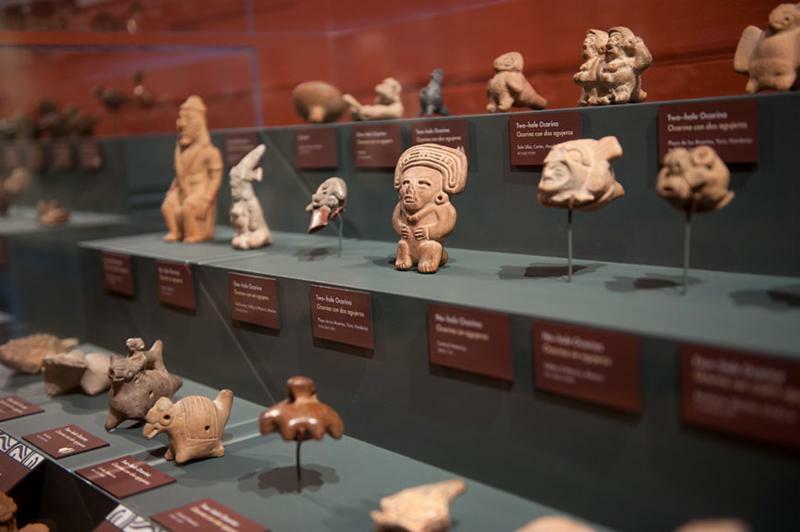 The Peabody Museum has conducted archaeological research in the Maya site of Copan, Honduras, since the 1890s. 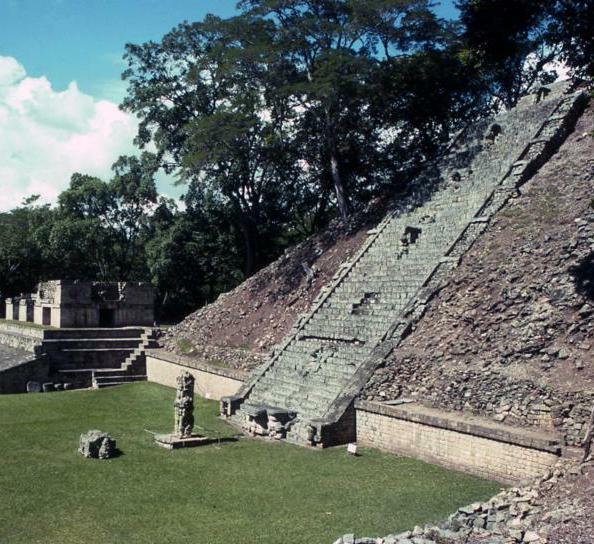 One of Copan’s most iconic elements is a staircase made of over 620 blocks carved with Maya glyphs. Dating back to the eighth century CE, this stairway has captivated Mayanists since its discovery, but the meaning of its texts has remained a mystery—until now. 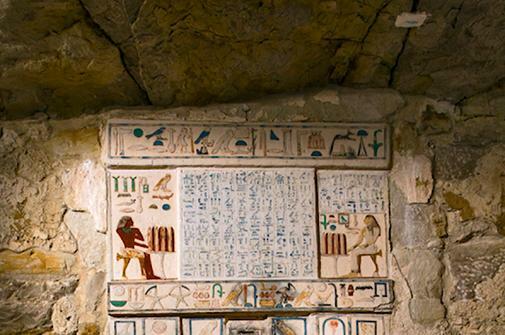 The Peabody's Barbara Fash will discuss how 3D technology helps decode the Hieroglyphic Stairway. The “Place of Osiris,” is a necropolis (burial site) near the Old Kingdom’s city of Memphis, known for its pyramids and sun temples. Miroslav Bárta will provide a comprehensive look at the latest archaeological discoveries there. Mingle with fellow members at this behind-the-scenes member event. Explore the exhibits after hours, enjoy seasonal refreshments, and use your generous holiday member discount on unique gifts from the Shop at HMNH. 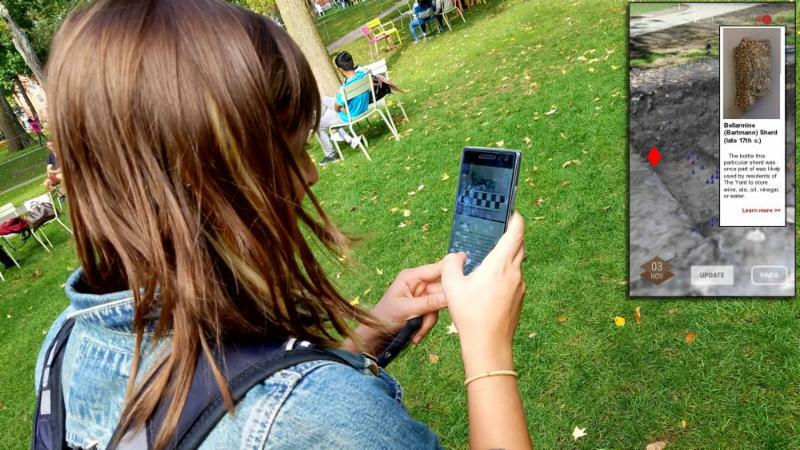 Guests at October's sold-out HUBweek event became virtual archaeologists in Harvard Yard, as they digitally "discovered" artifacts excavated from the Yard last fall, using an augmented reality application. Stay tuned for more demonstrations in Spring 2018! Header: Detail of Plains Indian calumet (pipe) stem, ca. 1780-1830. PM 99-12-10/53101.2; Feejee Mermaid: Gift of the Heirs of David Kimball. Peabody Museum of Archaeology & Ethnology, PM #97-39-70/72853  © President and Fellows of Harvard College . 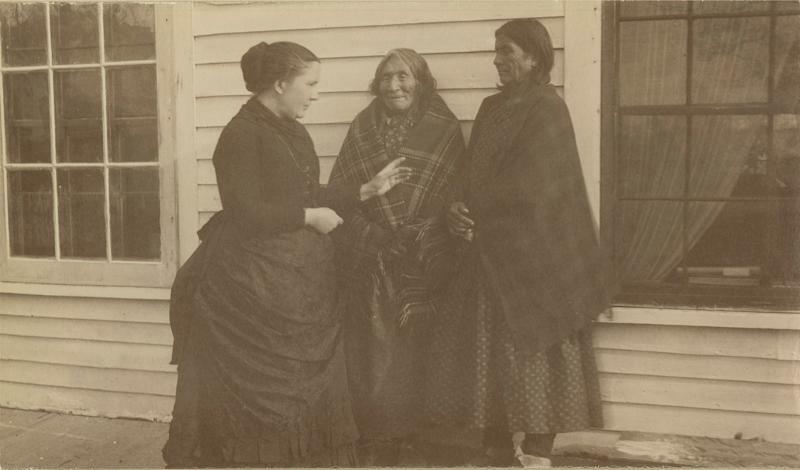 Alice Fletcher with two Ho-Chunk (Winnebago) women at the Winnebago Agency, 1888. PM 2004.29.6041. 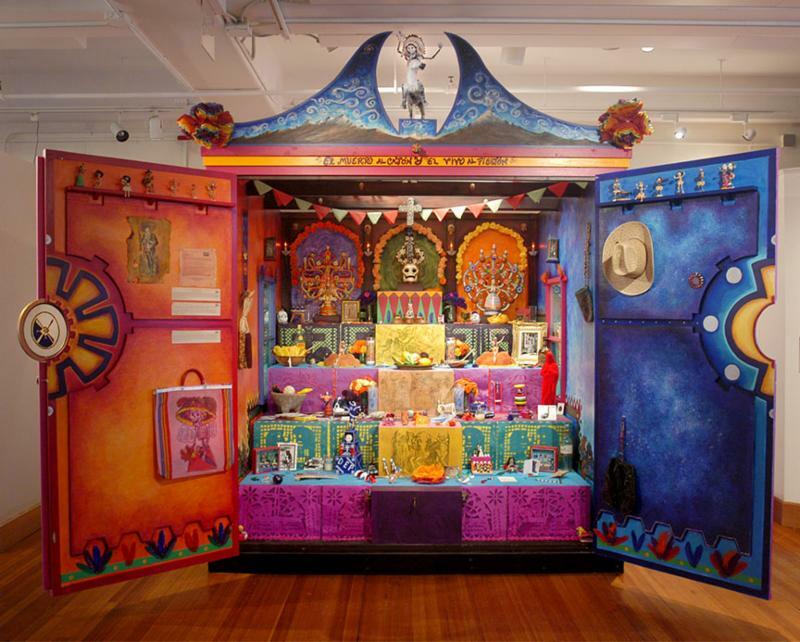 Peabody Museum of Archaeology and Ethnology, copyright President and Fellows of Harvard College. Virtual archaeologists courtesy Harvard University Academic Technology; Members night: Ophiacodon uniformis, MCZ 1366.